Valentin Zavadnikov and Leonid Lebedev’s Synergy Russian Sailing Team today claimed the 2012 match racing title at the Adris RC44 World Championship, in a nail biting finale that went to the wire on the waters off Rovinj, Croatia. In the RC44 Class match racing takes the form of a round robin rolling throughout the season, held on the first day of each regatta. 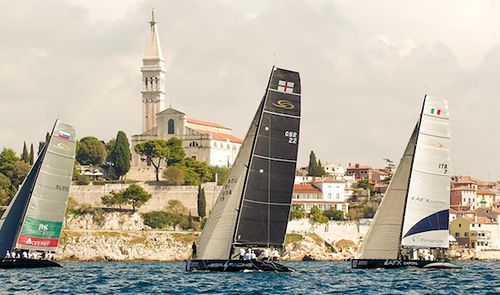 After four regattas – in Puerto Calero, Canary Islands; Cascais, Portgual; the Austria Cup on Lake Traunsee and Marstrand, Sweden – Synergy started today in Rovinj with a three point lead over Hugues Lepic’s Aleph Sailing Team from France. 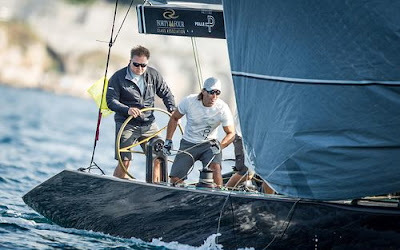 The day was characterised by light winds, a major shift to the right halfway through the afternoon and despite dropping below 5 knots towards the end of play, there was still enough to keep the nimble black RC44s moving. 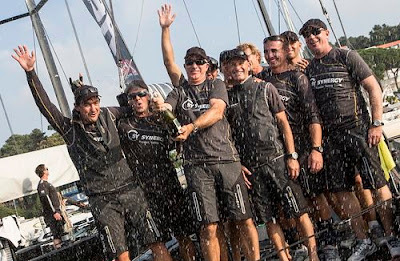 While the Russian team and their American skipper Ed Baird could have had secured the 2012 match racing title half way through today, getting the result finally sealed in their favour ended proved extremely hard. 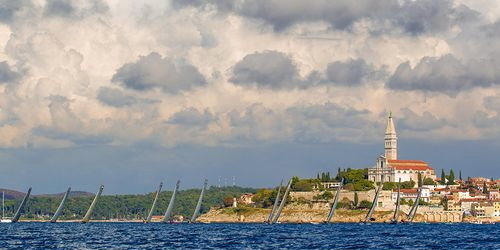 Not only were they scheduled to sail less races than their competition at the start of the day, but they managed to lose two of their first three races. 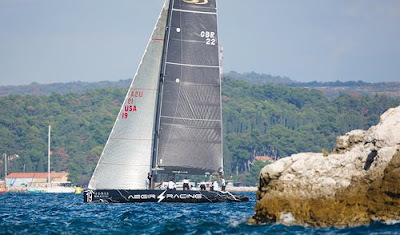 As a result come flight six, there was the almost unimaginable possibility for not only Aleph, but also Chris Bake’s Team Aqua – which had started the day in third place, four points off the lead – to draw level on points with leaders. Yet, just as surprisingly, both Aleph and Team Aqua managed to let this opportunity slip through their fingers, losing their respective matches against the John Bassadone-steered Peninsula Petroleum and Vladimir Prosikhin’s ever improving Nika, with local Croatian hero Tomislav Basic on the wheel today. With Synergy winning its last match against Massimo Barranco’s AFX Capital Racing Team and with the schedule of flights shortened due to the dying breeze, only then was the championship finally theirs. For Team Aqua, a couple of races could have gone better. 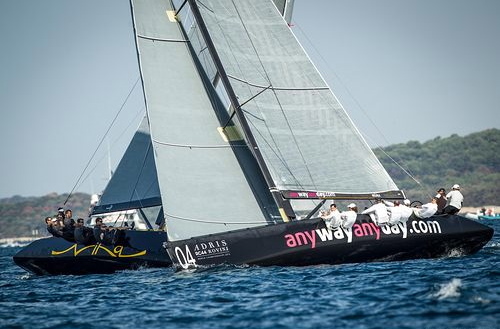 In their match against Artemis, the Swedish boat had a penalty against them from the pre-start but this was nullified when they luffed during the first top mark rounding and Aqua failed to keep clear. 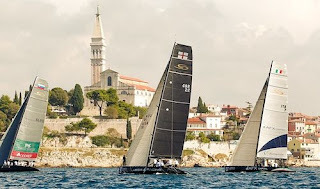 Then in a near identical scenario at the weather mark in their match with Team Nika, they failed to round the top mark properly, handing the point to Vladimir Prosikhin’s team. 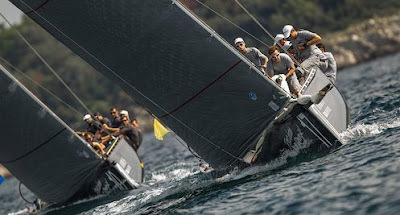 Meanwhile Aleph Sailing Team was initially on a roll, winning their first three matches of the day, only to lose their last in flight six. While honours and respect go to Baird and the Synergy Russian Sailing Team, highest scorer of the day was American David Murphy and his Ironbound team, including tactician Andy Horton and Kiwi America’s Cup legend and main sheet trimmer, Warwick Fleury. Scoring five wins they lost just one match to Pieter Heerema’s No Way Back. 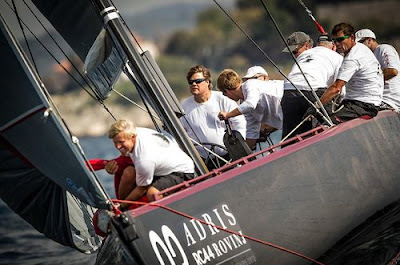 The fleet racing for both the 2012 season prize as well as the beginning of the Adris RC44 World Championship starts tomorrow at 11:30 (CET), follow racing via the live blog at www.rc44.com.